The request is outlined in a letter written on the family's behalf to the city's building department last month. 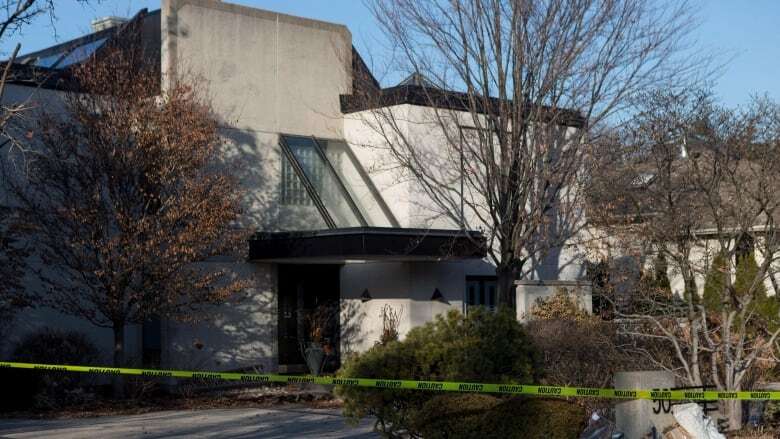 The family of slain billionaire philanthropists Barry and Honey Sherman are asking the City of Toronto permission to demolish the home where the couple was killed. In it, an agent representing the family says the vacant two-storey mansion has "bad memories and a stigma" that causes the family pain. The unnamed agent says no one will purchase the home since the Shermans' bodies were found dead beside the house pool in December 2017. The double-homicide remains unsolved, and police have provided no substantial updates on the case for more than a year. The family's letter says they wish to level the house, clean up the site, fill in the pool and put the lot up for sale. The city's building department has deferred the matter to a local community council for further review. "The house has been vacant for the past year," the letter reads, adding the house has acquired "bad memories and a stigma attached due to the incident that took place." "It pains them to have it sit there. No one will purchase the home as it presently stands," the agent wrote. Investigators with Toronto police previously said the Shermans, who were in their 70s, were found in a semi-seated position by the house pool, hanging from a railing with belts around their necks. Autopsy results revealed the pair died by "ligature neck compression," they said. Police also said there were no signs of forced entry to the home in an affluent corner of north Toronto. In the months since their deaths, however, lawyers representing the family have alleged the force has conducted a lax investigation that left evidence uncollected and avenues of potential inquiry unexplored. Brian Greenspan has alleged that police did not vacuum the Shermans' house in the days after they died, failed to properly check points of entry into the mansion, and did not collect sufficient fingerprint and DNA evidence. Toronto police Chief Mark Saunders has denied the allegations, saying Greenspan and a team of privately hired investigators were not necessarily privy to all the information gathered during the police probe. Greenspan said he assembled the team at the family's request, including several former Toronto homicide detectives, Ontario's former chief pathologist, and forensic experts. He said the team has recovered evidence, including 25 finger and palm prints, that they have shared with police as part of their proposal to pursue a joint private-public investigation. The family has offered a reward of up to $10 million for information that would solve the couple's killings. Barry Sherman founded Apotex in 1974 and built it into a generic drug giant with more than $2 billion in annual revenue. He stepped down as CEO five years ago and was not longer involved in the company's daily operations at the time of his death. 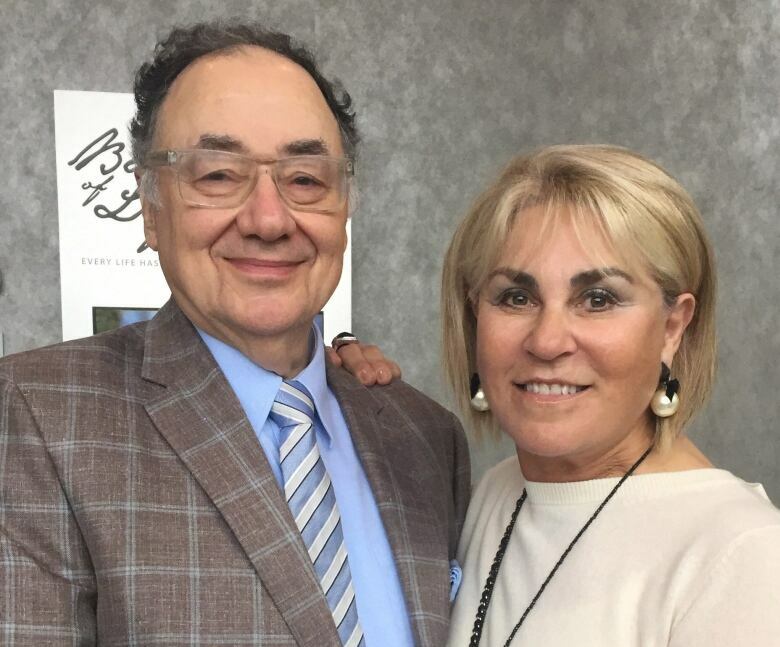 Honey Sherman was a member of the board of the Baycrest Foundation and the York University Foundation. She also served on the boards of Mount Sinai's Women's Auxiliary, the Simon Wiesenthal Center and the International American Joint Distribution Committee.